JANSSONIUS - Tabula Anemographica seu Pyxis Nautica. JANSSONIUS, J. - Tabula Anemographica seu Pyxis Nautica. Tabula Anemographica seu Pyxis Nautica. - JANSSONIUS, J. Title : Tabula Anemographica seu Pyxis Nautica.. 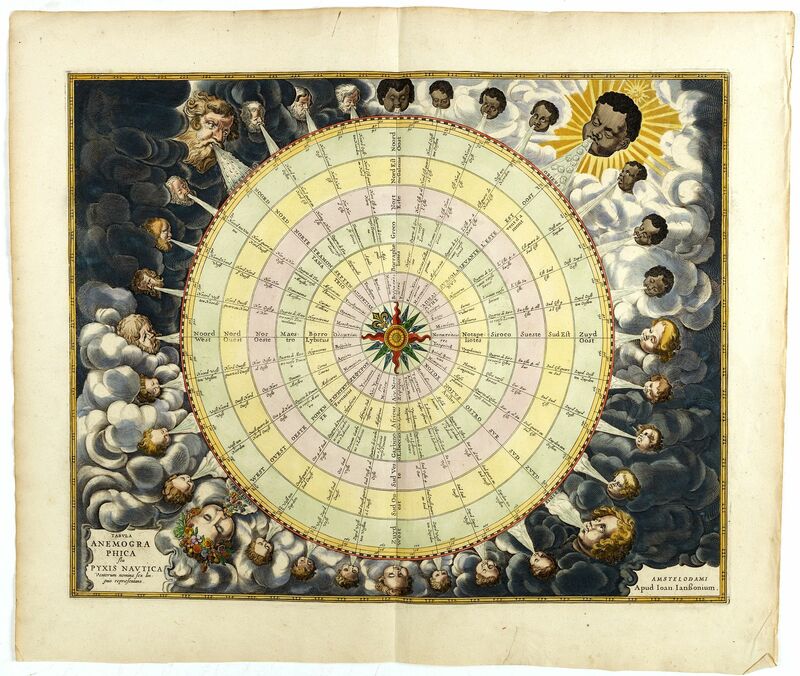 This wind rose is one of the most impressive charts compared to those of Blaeu; Ortelius, or Mercator. Condition : In very good condition. Repaired tear in lower right margin.